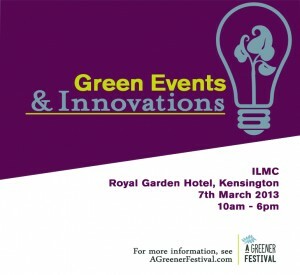 The fourth edition of the Green Events & Innovations conference joins the ILMC family at the Royal Garden Hotel on Thu March 7th 2013, taking a detailed look at all things sustainable and green in the live events garden. GO Group is happy to support this wonderful one-day event. 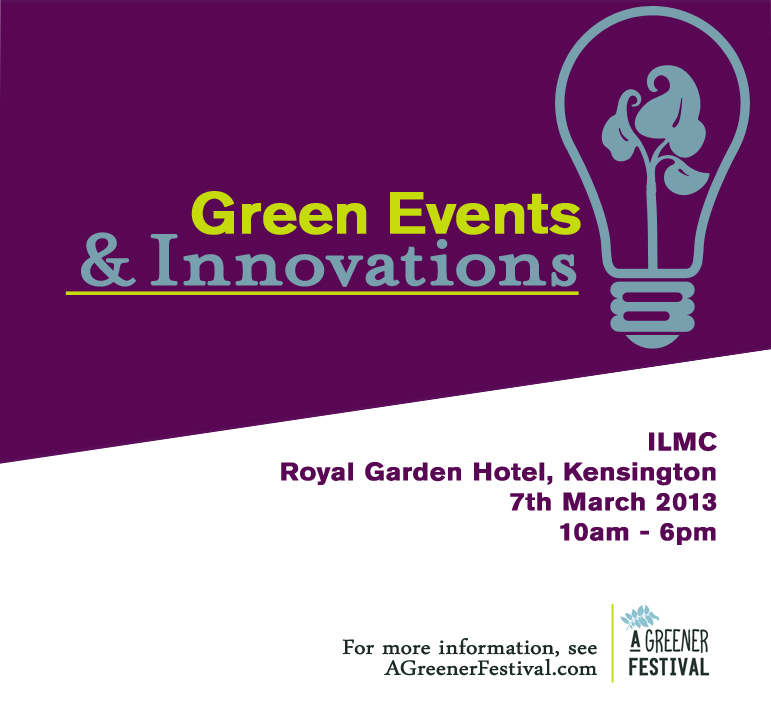 Presented by our friends A Greener Festival, The Association of Independent Festivals and Bucks New University, Green Events & Innovations brings together some of the leading lights from the live events and festivals worlds including speakers and delegates of venue operators, festivals, suppliers and other professions. Topics including camp site waste, sustainable power at festivals, dealing with the impact of climate change, food waste and the results of the recent survey of festival fan’s attitudes on environmental initiatives will be dicussed. Go here for the full and most recent agenda. Our stearing committee members will speak and present the Bucks/AGF-research on audience attitude, the international approach of the Love Your Tent-campaign and sit on the waste management panel.